Today is Valentine’s Day. This is the one day of the year that it’s okay to lie to your loved one. 1. I love it when you pick the socks up on the floor without me asking. 2. I love how we still have that spark – even if it only lasts 5 minutes at a time..
5. (And from the male perspective). I love you just the way you are, even if you wear yoga pants 90% of the time..
1. “Don’t get me flowers because they die”. Yes, flowers die. This is a trick. She doesn’t want generic red roses in a cheap vase with a big bow. She wants you to put more thought into it. It doesn’t have to be expensive, but it does have to be creative. True, it is another day. So is her birthday, your anniversary and Mother’s Day. This is actually not a lie. She means, don’t buy some sleazy lacy thing. She does mean that a nice set of pajamas or loungwear would be lovely. Once again, this may not be a lie. She means, tell me you love me in YOUR OWN WORDS. No pressure…at least write additional words into the greeting card. Third, we lie to ourselves. 1. We use February 14th as an excuse to eat excessively rich foods because we think that’s romantic. 2. We buy the generic stuff because we don’t think we have the time or the creativity to do anything better. You do and you do. We all have online calendars to remind us well in advance and there’s this nifty thing called the internet with thousands of gift ideas – just borrow one. 3. We make the holiday about couples when there are a lot of people we love in our lives. 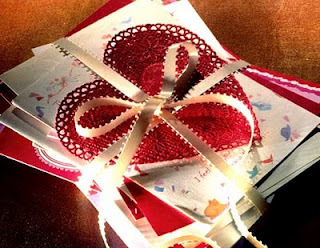 February 14th is a great day to call or send a note to your single friends, mothers, grandparents and other loved ones. It doesn’t have to be elaborate, just thoughtful. If you call the single people, don’t tell them how fabulous your Valentine’s was – they don’t care. So it’s your decision on how much truthiness you want in your Valentine’s Day. While I don’t think it’s sensible to lie, there may be a few exceptions…at least when it comes to the greeting card situation. P.S. If you think you’ve missed your chance to do something really special, think again. You can be thoughtful and sensible by buying 50% off candy the day AFTER Valentine’s Day. If your woman is still insisting that she can’t eat chocolate, then break the candy up into pieces so all the calories fall out…. Posted in Lifestyle.Tagged Family, humor, life, love, Valentine's Day.